The Queens housing market continues to recover as a result of existing-home sales improving with low inventory supply pushing home prices upward. Momentum continues to build in the housing market from growing jobs and a bursting out of household formation. With lower rental vacancy rates and rising rents, combined with historically favorable affordability conditions, more people are buying homes. There had been speculation of a rise in short sales before the end of 2012 with the pending expiration of the Mortgage Forgiveness Debt Relief Act, which allows the forgiven debt to not be counted and taxed as income but there’s no movement in short sales, their market share is staying in a narrow range, and they’re still taking much longer to sell. There are good signs that 2013 will be a year of recovery for the Queens housing market. 2012 is the first year since 2005 where the year ended in positive territory, and if 2013 is anything like 2006, it could mean we are headed for a strong rebound. There is an urgency to buy now as home prices continue to increase and mortgage rates are at historic lows. 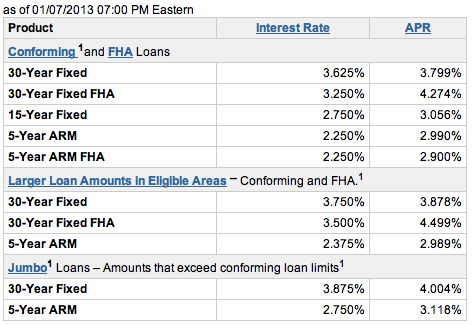 This month mortgage rates are at or around 3.37%, still hovering near record lows. In terms of the monthly payment on a 30-year fixed rate mortgage, a 1% increase in interest rate is the equivalent to a 10% increase in price. Low rates and a rebounding market have put buyers in a sweet spot, fueling urgency to buy now. Home sales this month increased 3.1% from last year and 14.8% from last month to a seasonally adjusted rate of 658 units, the highest level since August of 2012. The Home Sale trajectory of 2012 saw a low point of 536 units in January 2012 and peaked at 699 units in August 2012. All in all, there were 6 months of year-over-year increases last year while the other 6 months were year-over-year decreases, a sign of the market stability that was apparent in 2012. The current median home price rose this month to $375,000, a decrease of 1.3% from the previous month and up 15.4% from last year. December marked the fourth consecutive month of year-over-year price gains, a sign of the positive momentum in the fourth quarter of 2012 going into 2013. Pending Home sales this December decreased 7.2% from last year and 2.6% from last month to a seasonally adjusted rate of 592 units, the decrease was due in large part to super storm Sandy so pending home sales should rise again as the recovery continues in 2013. All in all, in 2012 there were 9 months of year-over-year pending home sale increases, a strong sign of the buyer confidence experienced in 2012, a trend that should continue in 2013. Report Courtesy of Abigail Herrera with Keller Williams Realty Landmark.